When we think about our military and the men and women who bravely serve our country, we often fail to recognize the lasting effect their service has on those close to them. As someone steps into their uniform, it is not just them who feels the pressure. The day to day of being in a military family is not solely about deployments and going off to war. Of course, everyone’s experience is different, whether it is a parent, a sibling, a child, or a spouse. The Purple Heart Foundation had the opportunity to talk with one military spouse, Alyssa Greene, and listen to her experience being married to a service member. Alyssa Greene is an Instagram fitness and lifestyle inspiration with over 98,300 followers, she also happens to be a military spouse. Alyssa is from Twin Cities, Minnesota and attended Drake University to receive her BSBA in Marketing with a concentration in Information Systems. She met her husband, Jon, during her junior year at Drake (at the gym, of course). Both Jon and Alyssa were business students, which led to them studying together and ultimately dating the summer before senior year. Jon is a 1st lieutenant in the Air Force. 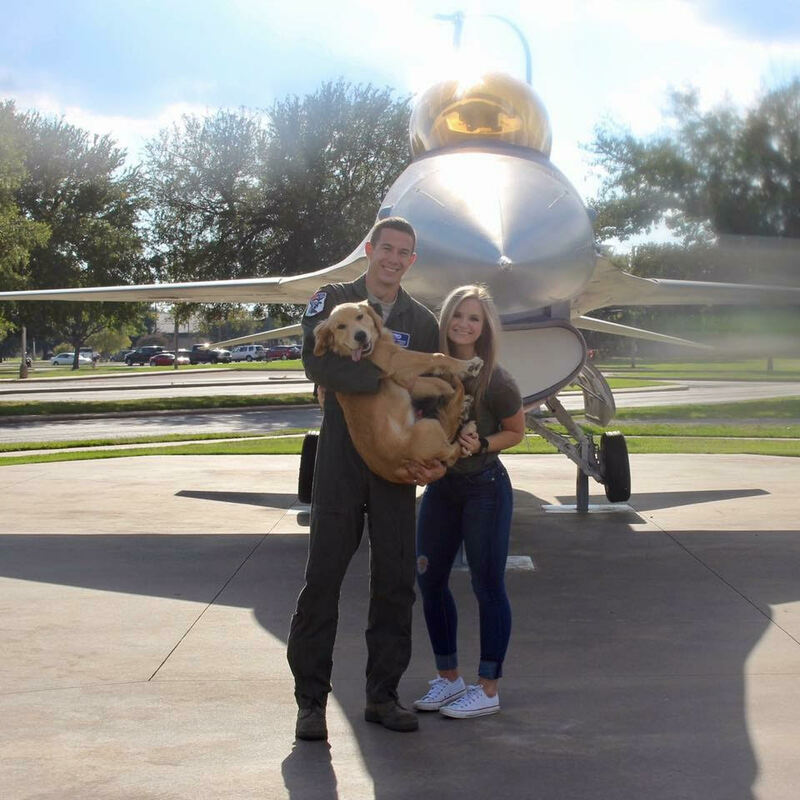 He is serving as an F16 pilot out of the 179th Fighter Squadron, 148th fighter wing in Duluth, Minnesota. 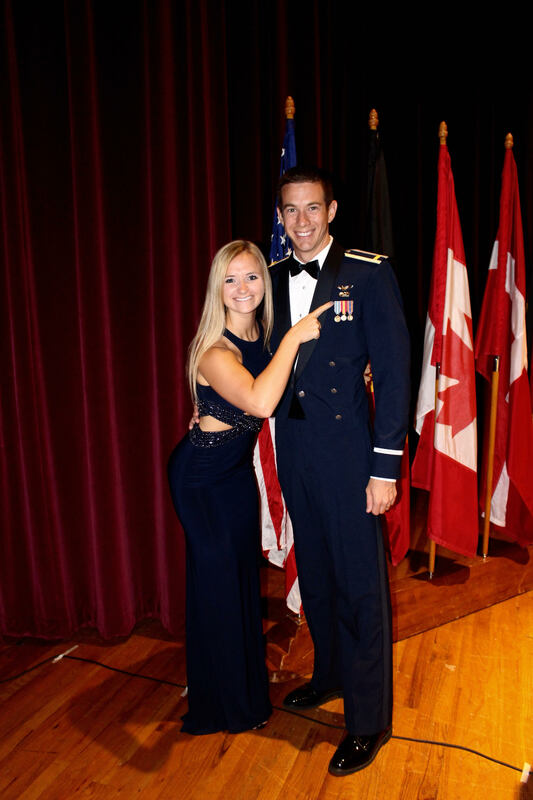 In June of 2017, Alyssa had the honor of “pinning” Jon when he graduated from Sheppard Air Force Base. Jon “was born to be a pilot, and sometimes it’s surreal that he is really living his dream”. 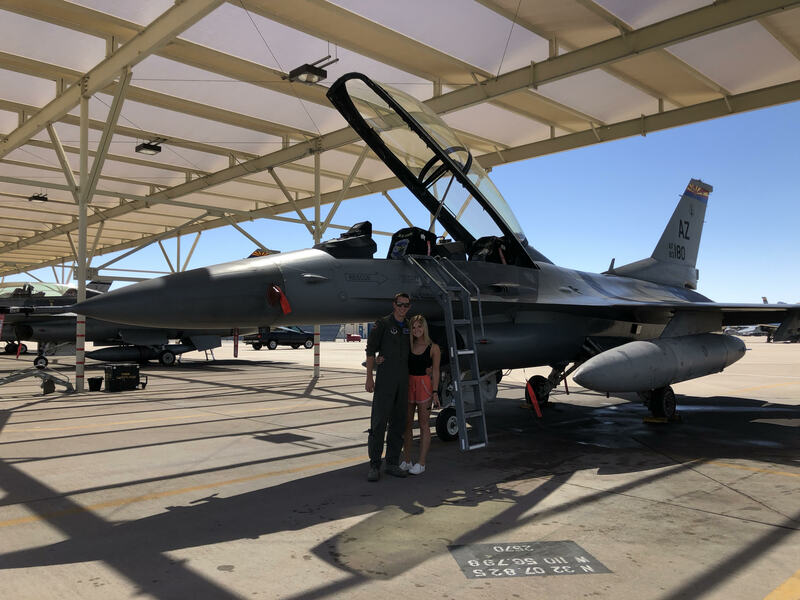 In addition to being a military spouse and Instagram sensation, Alyssa is also a Marketing Manager for Nepsis, Inc. She works in branding, communication, social media, and integrated marketing efforts. She has found that developing herself, her career. her individuality and independence has been key in her life as a military spouse. When we asked about some of the difficulties she faces she believed that she hadn’t even scratched the surface of what difficulties there are. 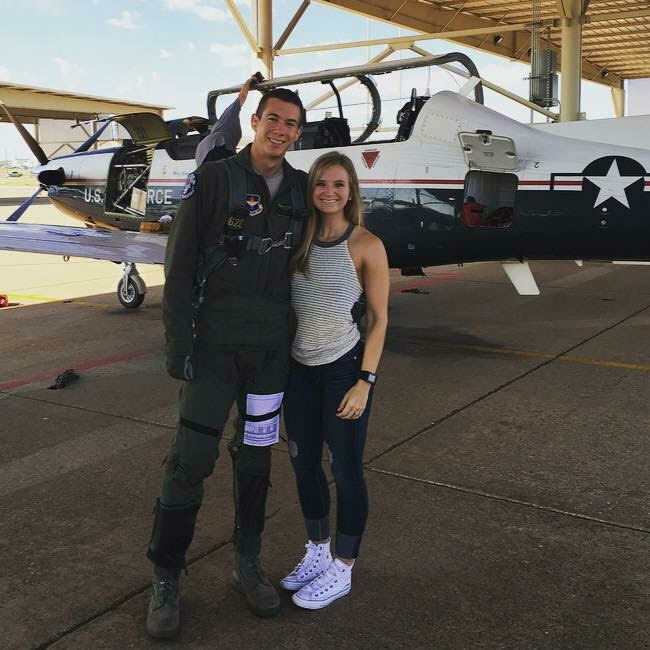 “We have been separated for training 3 separate times, one right after we got married. We have been married for almost two and a half years and I truly have been also married to the military and my husband’s schedule. 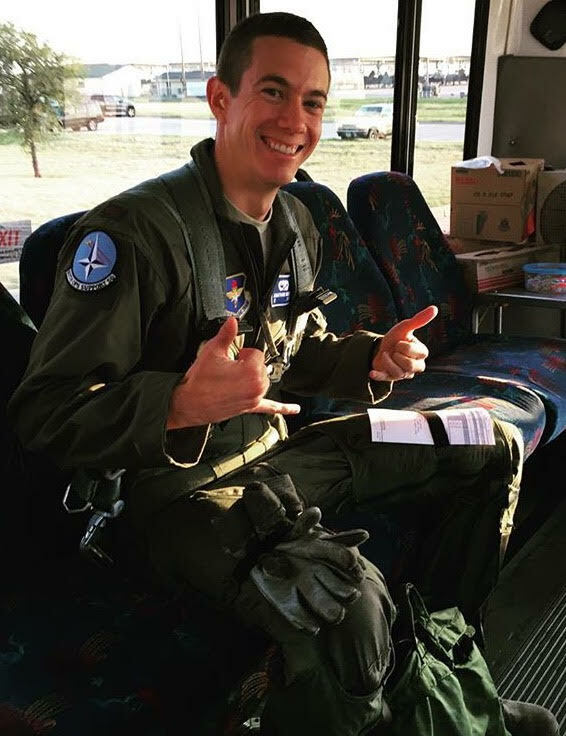 But part of being a spouse is being a team of supporting, of doing the laundry, of cleaning and making sure dinner and lunch are prepared so they can focus on their jobs; in my husband’s case being the best fighter pilot he can be. My biggest concern is being the best support for him.” Deployments and weeks away for training are out of her control, so she simply tries to focus on and cherish all the moments they do have together. Though Alyssa feels she hasn’t been faced with too many difficulties as a military spouse, there is a sense of loneliness when Jon is away. We asked her how she coped with those times and she told us the gym and being active was the place she could go to feel comfort. She is also very strong in her faith and listens to elevation church podcasts to keep herself grounded. Alyssa is truly not alone though, her and Jon got a golden retriever shortly after there were married. Walks with her golden retriever and listening to those podcasts have “saved me more times than I can count”. Aside from the difficulties, we asked what Alyssa felt was the best part of being a military spouse. “The best part about being a spouse is the pride you feel. With every new adventure, every new stage and rank, new squadron and base. my favorite thing is seeing his eyes light up when he talks about his Viper and how he performed that day during his flights.” She keeps a positive outlook and focuses on the fact that she doesn’t have to be a military spouse, she gets to. Military families and spouses do not always directly choose this life, but that does not stop them from growing and thriving, just like Alyssa does. The day to day may be difficult, but when you change your mindset to look for the positives, cherish the good moments, and grow from hard situations it can become easier. The Purple Heart Foundation provides various programs and assistance that supports not only our veterans, but their families and dependents as well. The Purple Heart Foundation is committed to assisting veterans, and their caregivers, in all aspects of their lives, including helping those who need assistance while transitioning home from the battlefield. You can show your support for these brave men and women who have sacrificed so much for our country by making a one-time or monthly pledge to ensure veterans continue to get the support and benefits they deserve. Narional PTSD Awareness Day Walking Across America For Purple Hearts!